We’re a network of leaders based in agrarian values demonstrating excellence and performing at our highest potential. 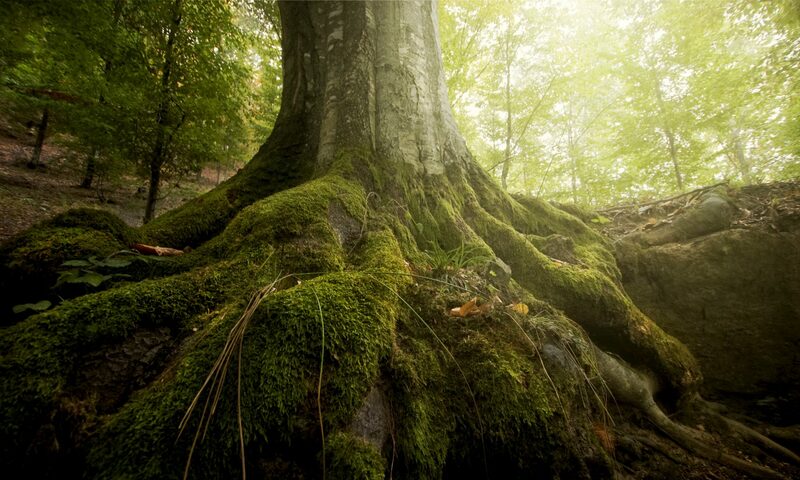 Roots & Legacies Consulting, Inc. brings together smart, experienced, connected and passionate individuals all focused on one goal: Empowering Others to Excellence. Roots & Legacies began in 2001 when founders Jackie McClaskey and Sarah Goss worked together to bring professional development trainings to universities and colleges – primarily in colleges and departments of agriculture. In 2017, J.J. Jones joined the organization as it expanded its services to include strategic communication and marketing support, event and project management, association management and overall business operations consulting. Roots & Legacies is committed to bringing together the best team to meet its clients’ needs; as a result, the organization works with a number of associates who offer unique areas of expertise and experience but share the deep desire and drive to serve and empower organizations, businesses and individuals who impact the excellence of the agricultural and food industry and rural America. To cultivate ideas, nourish leaders, and harvest excellence by putting our talents, passions and agrarian values to work. We engage and develop individuals and organizations. Strategic Communications: In today’s hyper-connected environment, what you say and how you say it matters more than ever. We want to help you share your story in a powerful way by defining strong message platforms, determining the best places to share your information, offering training to help deliver your message, and preparing for crisis and issues that may affect your organization. Personal and Professional Development – Our team is both professionally and personally passionate about helping people realize their personal potential and, in turn, help their organization excel. We offer professional coaching and training, interview preparation, interview process development and execution, professional development training, and speakers bureau management. Business Operations: Sometimes the only thing standing between a business concept and business success is a change in process, a better understanding of the market, or developing new skills within your organization. Our team can help you excel through offering counsel and analysis on market development, processes, economics, feasibility assessments, workforce development and more. Our goal is to help you reach yours through the most effective, efficient path. Program and Event Management – Roots & Legacies can serve as an extension of your team to coordinate specific events and programs, or identify the ideal team to manage your association or a specific program or project. Our commitment to excellence extends to services such as association management, curriculum development, fundraising, and leadership development. Influence-Building Efforts – Leveraging our team’s talents and experience identifying common ground, building alliances and working on technical, challenging situations, we are able to manage issues, engage in policy development and execution, train and prepare political candidates and manage coalitions. Roots & Legacies co-founder, J.J. Jones, has loved agriculture and food for, well … as long as he can remember. Whether it was riding countless miles on horseback with his father and brother, gardening with his grandparents, showing cattle and sheep or learning about wine varietals before he could enjoy them, J.J. recognized that agriculture and food are a common thread that connect us all. We celebrate with food. We care for the less fortunate with food. Food is possible because of strong agriculture. J.J. is a constant learner with degrees in Animal Science and Industry as well as International Agriculture. J.J. has worked with a number of agribusinesses that have taken him to every corner of Kansas, across the U.S. and around the world – 25 international markets and counting, which allows J.J. to put his skills and talents to work in empowering others to excellence. J.J. is a strong leader in association management, communicating with various agriculture and food industry stakeholders and putting his passion for international agriculture to use in developing global markets for Roots & Legacies’ clients. J.J. excels in turning data and information into knowledge and strategy as he works with clients to enhance their communications, marketing – both domestic and international, and association and project management. J.J. and his partner, Kevin, enjoy all things food and wine! You can find them sharing meals with family and friends, singing in their church choir and volunteering with a number of organizations including the American Royal and the Cultivating Change Foundation. Having grown up on a family farm in southeast Kansas, co-founder, Jackie McClaskey, Ph.D., learned her passion for agriculture at an early age. At each step in her personal and professional career, she has always remained connected to agriculture. From her early days in 4-H and FFA to earning three progressive degrees in agricultural economics and animal science, she has built on her initial foundation and agrarian roots to serve Kansas agriculture through roles in Washington D.C., at our nation’s first land-grant institution and in state government. During the 1990s, McClaskey worked in Washington, D.C., as the press secretary and agriculture and higher education policy coordinator in the office of then Congressman Sam Brownback. Following her D.C. experience, Jackie served as an assistant dean for the College of Agriculture at K-State for 13 years. 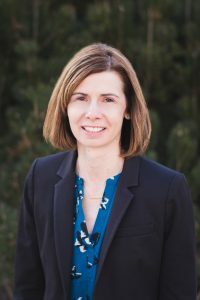 Most recently, Jackie led the Kansas Department of Agriculture as an assistant and deputy secretary and then secretary from 2013 to 2018. In addition to her role at Roots & Legacies, Jackie serves as President of Development for the American Royal campus. Jackie is a strong leader in professional development, influence building and association management. Jackie and her husband live in Manhattan with their two Australian Shepherds, Lady and Scout. Jackie is an avid fan of all things KSU Wildcats and Kansas City Royals. 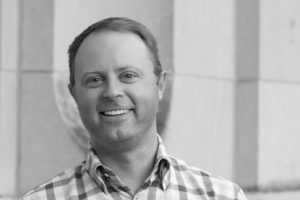 Dalton Henry, co-founder, brings a decade of public policy experience and an advocacy focus regarding farm and trade issues to the team at Roots and Legacies. 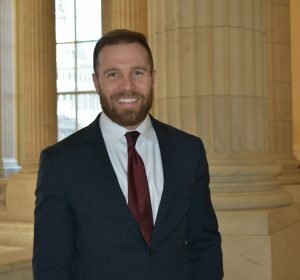 A native of Randolph, Kansas – and Agricultural Communications graduate of Kansas State, he has held policy roles both on and off the Hill in Washington, DC. Most recently he served as the legislative director for Kansas Congressman and member of the House Agriculture Committee, Roger Marshall. In that role, he was responsible for agriculture, energy, trade, and tax policy – while coordinating the overall efforts of the legislative team. Prior to serving “on the Hill,” Dalton served as vice president of policy for U.S. Wheat Associates – the export market development organization for the U.S. wheat industry, and director of governmental affairs for Kansas Wheat. Dalton’s experience as a leader in FFA and student government at Kansas State University has fueled his passion for agriculture and public policy. He currently splits time between Washington, D.C. and his family’s farm in North Central Kansas. A Kansas native, co-founder, Emily Lehning, Ph.D., has a passion for agriculture and rural communities. She grew up in East Central Kansas in a tight knit community of 75 people where 4-H and FFA involvement dominated her calendar. Surrounded by strong and resourceful women (the unsung heroes of early American rural life) and a dad and brother who did not mind a tagalong, Emily learned to garden, preserve food, shear sheep, weld, change flat tires, and many other skills that were performed all in a day’s work to support the households and farms of her family. 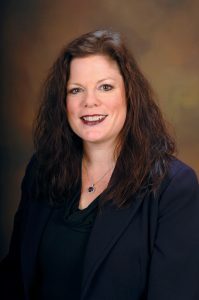 With a degree in Agricultural Education and two degrees in Education, she has been able to draw from a theoretical base to serve her 20 years of practice in higher education at a land grant university in the Midwest. In this role, she has become a student of intergenerational workforce dynamics, education and workforce trends, and the fierce competition to attract and retain top talent. A developer at heart, Emily seeks opportunities to promote organizational and individual excellence through coaching and training. Her favorite professional work has included opportunities to work with individuals and teams to clearly define their goals and to collaborate in creating experiences to do important work. Emily and her husband Jeremy, also an educator, operate a small business in a small town where they are renovating a two story building of native Kansas limestone. They added this building to their collection of old structures – Emily’s childhood church in the early stages of renovation and their 1860’s one room school house that is their residence. They have one acre that supports their hobby farm dream with a small herd of alpacas and a flock of chickens. Their toddler, Olivia loves taking care of her boys (alpacas) and has big plans for this year’s garden. Planted firmly in the middle of Kansas, Roots & Legacies co-founder, Sarah Goss, is a mother of four living a modern-day prairie adventure. Growing up in the hills and deep top soils of the northeast corner of Kansas, she could barely see the prairie over the acres and acres of corn and soybeans. Her family encouraged her to go west to college to K-State, get a good education, spread her wings and establish roots. 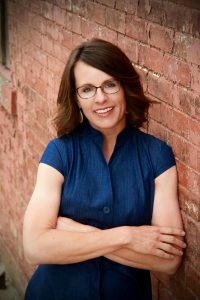 While there, she discovered the beauty that is a Kansas wheat harvest, found a way to understand the world through the lens of an agricultural economist, made amazing friends, and met a southwest Kansas farm boy, Brent, whom she’d later marry and whose view of the prairie was wide and unobstructed. Sarah & Brent put down roots. Started a family. And five years ago, made good on a promise to themselves and to their kids – they bought a farm. Sarah began her career in economic development, and then turned to banking. But, her babies stole her heart and her attention. She stayed home full time until 2014, when she started working part-time at Citizens State Bank & Trust Company. Outside of work, Sarah can be found fixing up the farm, spending more time on cattle hair than her own, coaching, and leading their 4-H club. Sarah credits her time with the founding of Roots & Legacies as pivotal – an experience that helped her clearly define her own life goals, to understand the balance of work, family and community, and gave her an opportunity to meet and connect with a most inspiring group of agriculture industry leaders.